The Asian Awards saw a star studded evening last Friday, but with a difference. With humanitarian recognition at the heart and an endeavour to honour women – The awards at Hilton Park Lane, organised by Paul Sagoo was an evening to remember. The Rising Star Award: Eight-year-old Bana Al-Abed who won hearts across the world whist tweeting her experiences of living in war torn Syria walked away with the award which honoured her efforts to support children of war. Outstanding Achievement in Cinema Award: With an emotional tribute to the late Sridevi, the award was posthumously conferred upon her. 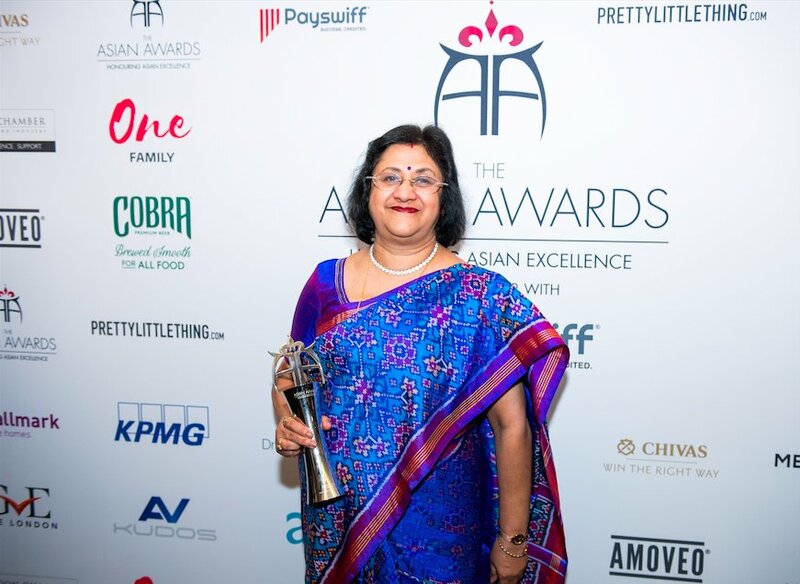 Business Leader of the Year: Walking away with the honour was the former chairman of State Bank of India Arundhati Bhattacharya, who changed the face of Indian banking.